Our jockey boxes have two faucets and pour two kegs at the same time. We can also change faucets and / or couplers according to what beer you want to pour. We have Jockey Boxes available to rent with cold plate cooling. The cold plate is aluminum with stainless steel lines inside that when covered with ice, chills the beer while travelling to the faucet. We recommend icing the kegs when the event is outdoors and the temperature is 90 degrees or more. Our jockey box rents for $65.00 for 3 days. If you are pouring a stout beer there is an additional 10.00 added to the rental price. The size and kind of gas you need to pour your beers of choice is priced separately. We require a $200.00 deposit. We have Jockey Boxes available to rent that have 120' of stainless steel coils for each faucet, inside the cooler. This unit will perform better with kegs that are going to be in a warmer enviroment. The coil boxes require an icewater bath rather than straight ice. . Even with this unit, it would be our recommendation to ice the kegs when the event is outdoors and the temperature is 90 degrees or more. Our jockey box with stainless steel coils rents for $75.00 for 3 days. If you are pouring a stout beer there is an additional 10.00 added to the rental price. The size and kind of gas you need to pour your beers of choice is priced separately. We require a $200.00 deposit. Also referred to as a party pump or pump tap. We rent picnic pumps for $15.00 for 3 days. We require a $50.00 deposit. Our two faucet kegerator has two faucets and two taps. We will adjust our faucets and taps according to the beer you will pour. 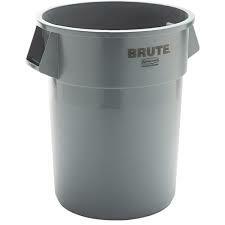 Our single keg cooler rents for $125.00 for 3 days. We require a $500.00 deposit. The size and kind of gas you need to pour your beers of choice is priced separately. It can fit 1 16 or 1 8 gallon keg. To take advantage of both faucets you need to use 5 gallon kegs. Most beers come in this size - also called a 1/6 barrel. 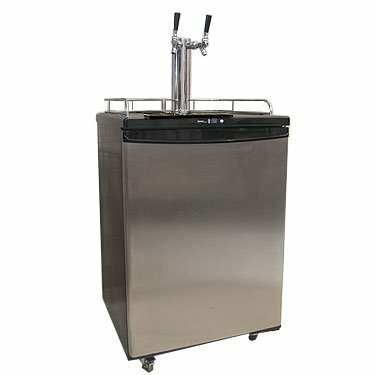 If you want to do 1 beer and 1 wine or 1 cocktail, we also rent 5 gallon kegs that you can mix your own cocktail or have your wine put into. Either faucet can be used to dispense the cocktail or wine. The only cocktails that won't work are ones that contain juice. The kegerator can also be used to dispense coffee or Kombucha. The unit is assembled and requires either us to deliver and pickup or someone on your end to have a van or truck. It can't be laid on it's side during transport. Please call us for a quote if you would like us to delivery and / or pick up. If your event is outdoors and the temperature will be over 90 degrees, we recommend putting your kegs in barrels of ice. 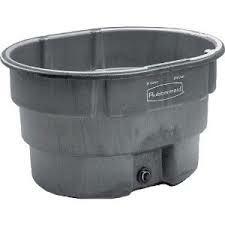 Our Rubbermaid horse troughs fit 2 full size kegs or 4 - 5 gallon kegs. If you are having a large event and won't have a refrigerated trailer to keep your kegs cool, using horse troughs is a good alternative. We have 4 rubbermaid horse troughs available, as well as, 1 10 ft galvanized horse trough and 1 4 ft galvanized horse trough.